Today I want to introduce you to a friend of mine who has helped me grow my customer base and reach customers who may never have used my services. 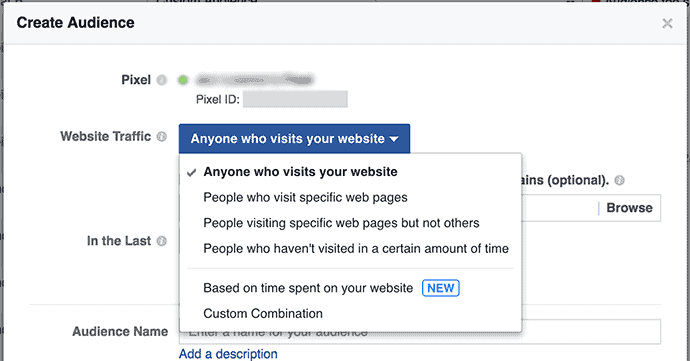 This little snippet tells Facebook whenever someones visits your website as well as a plethora of other useful information. It allows you to create audiences from your website visitors and serve them dynamic adverts based on their activity on your site. Along with my other friend, The Google Tracking Pixel, this is probably the most important thing you can have on your website today. … But with the help of our little friend here, the next time they visit Facebook they see a promoted post from your page or an advert about your company. Now they are suddenly much more interested in who you are and what your company offers. Sure, you can run adverts to a cold audience and simply target everyone in your area, but the real magic happens when you retarget people who have already shown an interest in your brand. You can only do that once this little bad boy is installed on your site! Wait, what, you’re not running Facebook ads? …You’d rather spend your hard earned budget on marketing without measurable results in a bid to boost your mystical name awareness? Seriously get with the programme, don’t be the horse that doesn’t drink the water, there’s only so many times I can lead you to it. Now get out and don’t come back till you are ready to take action. Oh yes, for those of you who understand the power of social media and would actually like a measurable, scalable ROI for your marketing spend, here’s a sneak peek at the power of this thing. This is just a small combination of the audiences you can create in Facebook so that you serve highly relevant adverts. Relevant adverts promote a better response. I’ve created hundreds of these audiences to help me drive potential clients to the relevant parts of our business. You probably wouldn’t even be reading this if I hadn’t done so. To give you an example you can use in your own business, you could build an audience of people who visited your “Book a Valuation” page but did not submit their details. You could then serve adverts to these people about your Free Instant Valuation Calculator, your handy guide on picking the best estate agent, or simply brand based adverts to boost your presence (much better than leaflets, they cant throw this away). 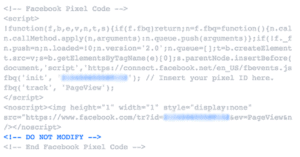 Even if you are still not ready to jump onto Facebook adverts for whatever reason (I can’t think of one), you should still install the code so that it can build an audience for you for when you are. Please, don’t ignore this advice, I’m simply amazed buy the amount of estate agency websites I visit that do not have this installed. Yes I check! Are you using Facebook adverts, if so what has been your experience so far, if not, why not? Founder & Head TrainerWith over 15 years of industry experience within both corporate and independent environments. He is an expert at building and developing teams which consistently deliver and are able to adapt quickly.Chris has a passion for internet marketing and has helped develop training programmes for Estate Agents which bridge the gap between the "Old School" canvassing methods and the very latest lead generation techniques. 0 responses on "Facebook Tracking for Estate Agents"